Tap near the center of the screen to go to Reading Interface. Tap to exit the viewer. Tap to stop screen rotation. 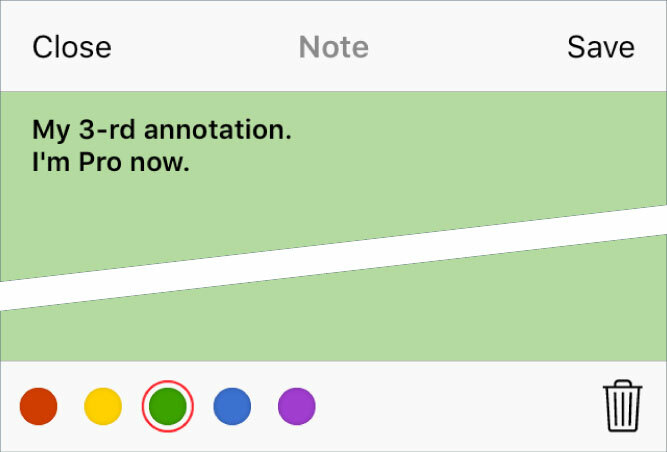 This button applies to all documents in reading mode. Tap again to unlock. For a more comfortable reading, you can choose a color Overlay and/or Theme separately for day and night modes. Brightness controls and Image Nigh mode are available. Color Overlays are applied to all supported formats. Tap the name to select it. Tap OFF to disable Overlay. All changes are visible at once. Tap Save to save your settings. Color Themes are available for some formats of books (EPUB, FB2, MOBI, PRC, AZW, DOC, TXT). Tap Publisher colors to disable Color Theme. Available Format Settings depend on the document type. аdaptive. Adaptive Page Layout — a default mode for reading comic books (CBR, CBZ) and viewing photo albums (ZIP, RAR archives of photo). Effective if the document was created by Comic-Rack and/or has a nested folder structure. TXT format encoding is detected automatically when opening a document for the first time. To manually change Encoding tap on Encoding. Tap a button to view a list of other available encodings. Fully customizable style/format for eBooks (EPUB, FB2, MOBI, PRC, AZW, DOC, TXT). Changeable fonts, margins, line spacing, paragraph indent and spacing, justification and hyphenation. Tap to go to Contents / Bookmarks / Highlights and Notes / Search. 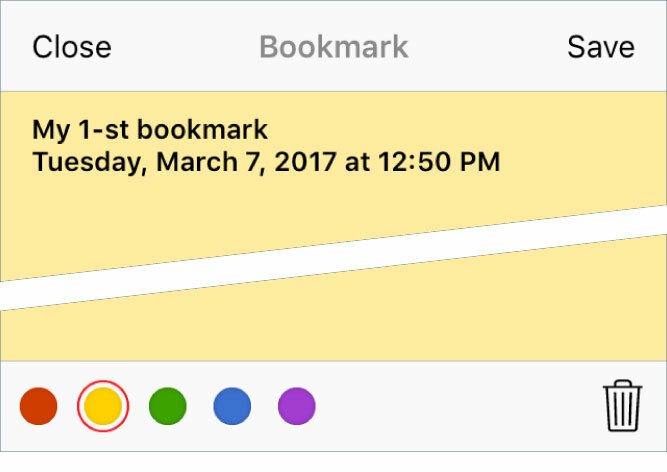 Tap Bookmarks (Notes) Tab to open the document bookmarks (highlights and notes) list. 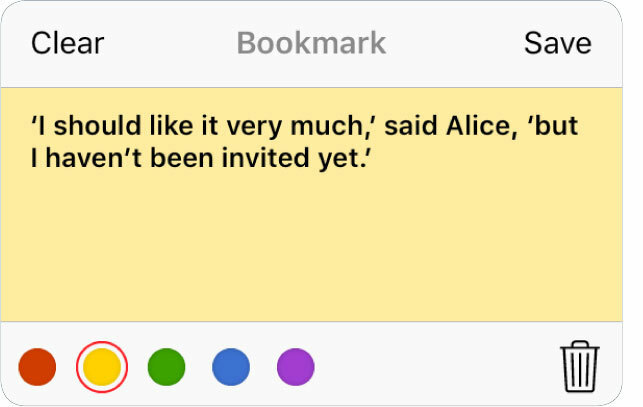 Bookmarks the current page are highlighted. 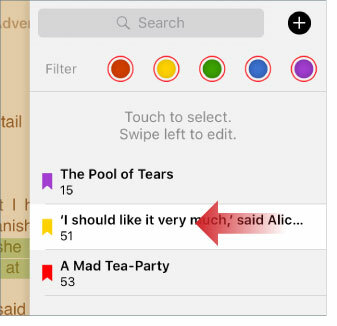 You can Search bookmarks (highlights and notes) by name, and select a filter by color. Tap to add bookmark. 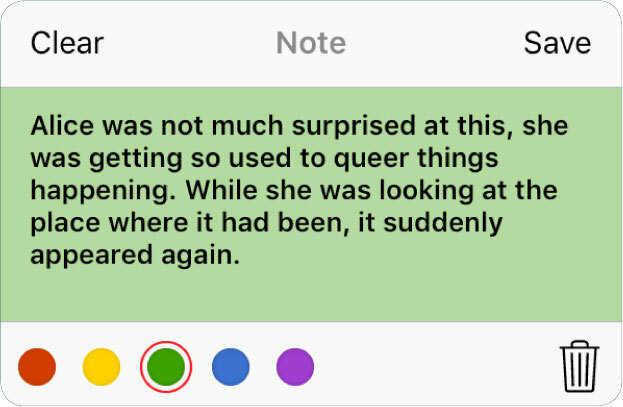 To edit the bookmark (highlights and notes), swipe to the left. In the popup window, enter the new name and/or select the color. 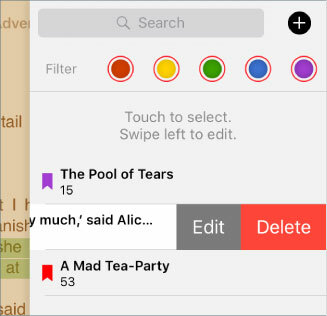 Tap Clear to clear the bookmark (highlights and notes) name. Tap Save to save your settings and exit from dialog. Tap outside the dialog to cancel settings and exit from dialog. In the popup window, enter the new name and/or select the color.Tap Save to save your settings and exit from dialog. Tap Close to cancel settings and exit from dialog. 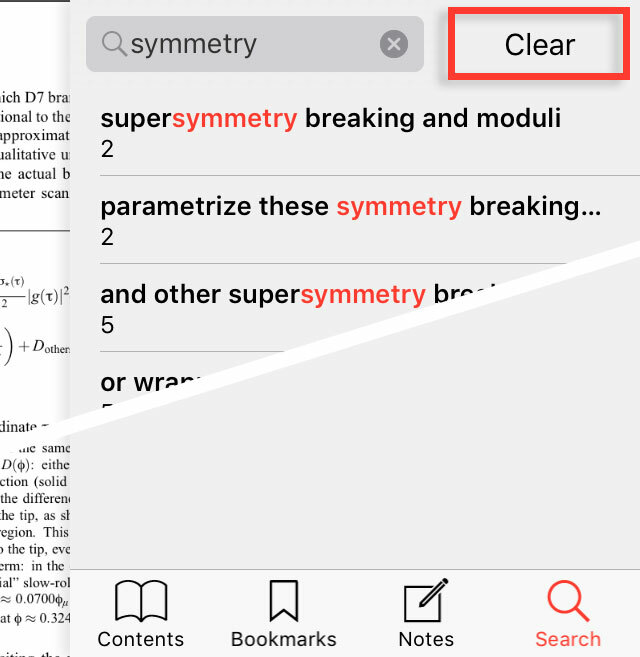 Tap Search Tab to Search in document. Tap on the Search field and enter the desired word. Tap Clear to view your search history.